Just off Shelburne Rd. 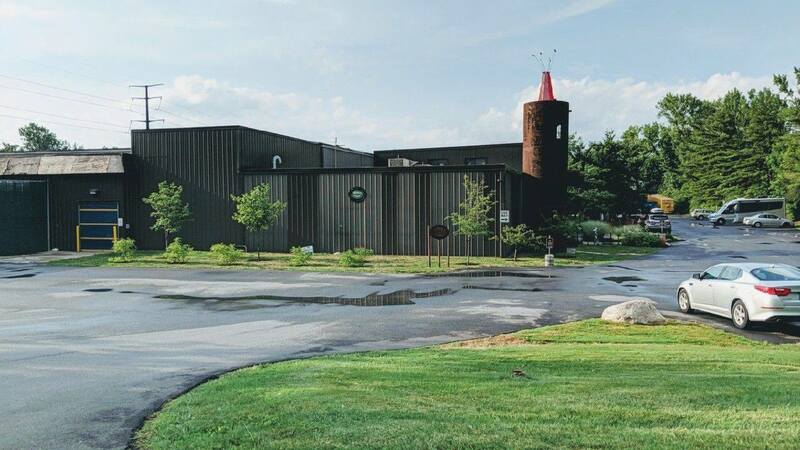 (Us-7 in South Burlington) is a building dubbed “The Artifactory.” It’s a magical place where “ancient alchemy meets modern science to create the best tasting beer on the planet,” as Magic Hat’s packaging boasts. Now, my jury’s still out as to who deserves that particular accolade, but Magic Hat is absolutely a strong contender. Established in 1994 (the same year as me), the most famous brew to come out of The Artifactory is the ubiquitous #9, which I’ve enjoyed in South Florida and can be found up and down the West Coast. This is more spread than any other Vermont beer I’ve researched (Harpoon doesn’t count; they’ve got a location in Mass. ), and Long Trail has been around longer. I was (pleasantly) surprised to discover that The Artifactory follows the theme I’ve been running of free (or inexpensive) things to do in and around Burlington. Brewery tours through the very building where the Hat Magic happens come to you at no charge. Guided tours only take place Thursday through Sunday, but the ramp is always open for self guided tours. There is, of course, a bar area: the only place certain elixirs can be obtained. The whole building (outside and inside) matches with Magic Hat’s weird, crazy label art style, and indeed the way Burlington is in general. That is, a sculpture collage (or mosaic, if you prefer) of neat pop culture artifacts and sheet metal sculptures. Manikins wore masks from Star Wars, a giant Buddha head hangs over a coffin-shaped display of dead flavors, the tour route itself is referred to as the “Information Superhallway.” You’re encouraged to bring a pint (which unfortunately is not free) with you though the tour, which elevates the entire experience even further. Among the elixirs one can only find at The Artifactory is a pilot batch of whatever new brew they’ve cooked up. Think of it like a pilot episode, used to gauge interest in a new idea. The pilot batch when we went was an American Pale Ale: a slightly hoppy, slightly sour beer that’d refresh quite completely on a hot day. They also keep some rarer tap handles in operation; I couldn’t help but order the Barroom Hero. It’s a traditional pub ale: very dark in color and flavored with notes of chocolate and caramel, and was developed in a partnership with the Dropkick Murphys. It’s state law in Vermont that any establishment serving drinks must also serve at least some food. There are other weird laws about bars, like how happy hour is illegal in Vermont, but what that gives us is neat little dishes that can be improvised in any dive bar. The Artifactory is more than a dive bar, however, and I couldn’t resist ordering a plate of artisan Vermont cheeses. They were all delectable in their own way, and the menu even gives you the opportunity to choose which you’d like to try from a list. They also have grilled sandwiches and snacky things like chips and (house made) salsa. Magic Hat’s Artifactory is a must-see for any beer lover spending time in Burlington. Burlington itself is a weird, crazy, wonderful place, and Magic Hat has encapsulated that in their own ridiculous way, both in décor and in product. Nobody creates elixirs like Magic Hat, so go see it for yourself.